Vineyard / Origin: Hillside vineyards in the finest sites of Tramin-Termeno. Soil: Marly, light, well ventilated and warm up quickly in spring. Winemaking: The grapes are lightly crushed and the juice is cold macerated for a few hours together with the skins. The mass is then pressed, the must is clarified by natural sedimentation and fermentation takes place at a constant temperature of 20°C. All these procedures combine to exalt the typical varietal character of the wine. Deion: This is a highly individual wine and a copybook Gewürztraminer: full, bright straw yellow, concentrated with a strong aromatic character reminiscent of dried flowers and rose petals which develops and intensifies in the glass. Full-bodied, luscious but dry on the palate, the opulence cut by vibrant, firm acidity. Food Choices: On its own as an aperitif, with shellfish, goose liver and gorgonzola cheese. "Wine Spectator" has rated the wine "J. Hofstatter Joseph Gewurztraminer Alto Adige, Trentino-Alto Adige, Italy" the vintage 2014 on 28.02.2017 with 90 of 100 points. "CellarTracker" has rated the wine "J. Hofstatter Joseph Gewurztraminer Alto Adige, Trentino-Alto Adige, Italy" the vintage 2013 with 90 of 100 points. 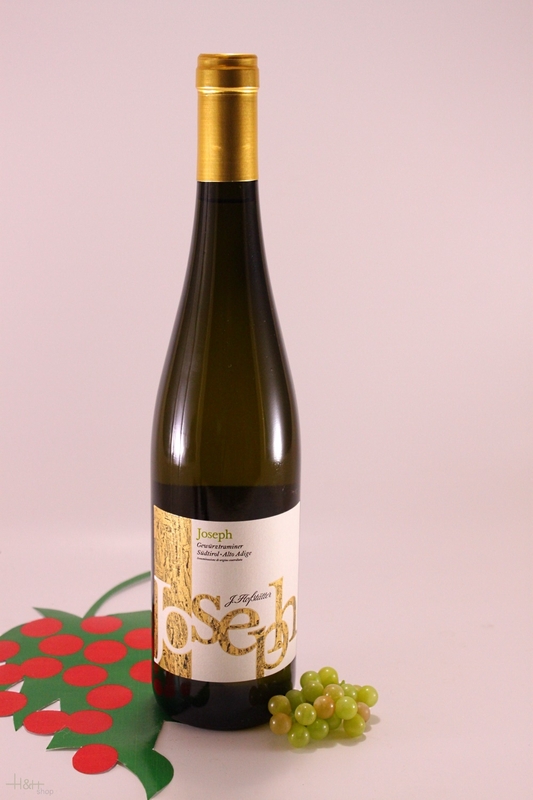 "CellarTracker" has rated the wine "J. Hofstatter Joseph Gewurztraminer Alto Adige, Trentino-Alto Adige, Italy" the vintage 2012 with 90 of 100 points.